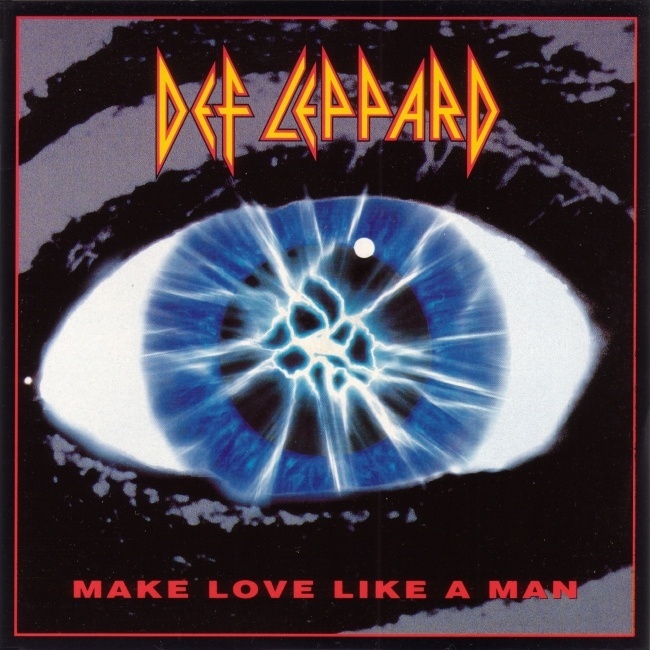 Def Leppard's classic Make Love Like A Man single reached Number 12 on this day in 1992 in the UK. The second single to be released from the Adrenalize album. The single had been released on 15th June 1992 on CD single, cassette, 7" and 12". It peaked at Number 12 on this day when Erasure were at Number One with their Abba-Esque EP. The eighth song to chart in the UK Top 40 and second from 'Adrenalize' after Let's Get Rocked peaked at Number 2 in April 1992. Richard Marx was at Number Three with his hit 'Hazard'. He would later join co-headliners Def Leppard and Bryan Adams at Madison Square Garden in August. 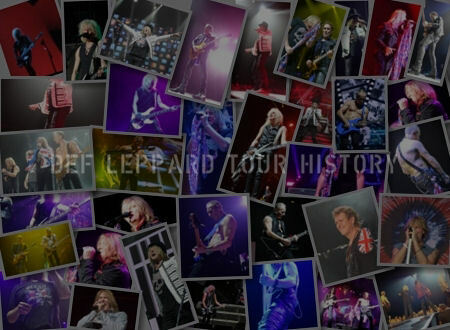 The band's first US show since October 1988 at the end of the Hysteria tour. Mariah Carey was at Number Two and she would go on to cover 'Bringin' On the Heartbreak' and released a song called 'One Sweet Day' with Boyz II Men in 1995. 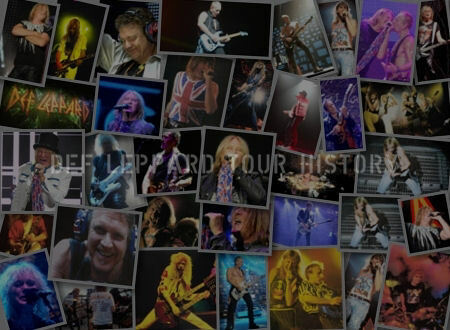 The song was reputed to be about or inspired by Steve Clark. Although she has actually described it as having been about songwriter/producer David Cole and fellow AIDS sufferers/victims. It topped the Billboard Hot 100 for 16 weeks (still a record). They performed 'Make Love Like A Man' on BBC TV show Top Of The Pops just ahead of the UK tour in June. "It's really tongue in cheek. When I first suggested it to Mutt and Joe, I said, 'We'll change the lyrics later on,' and they were like, 'No, no, no, that sounds great - we can't change it.' So we left it like that. It's not meant to be serious, and it's not about any of us." A song you wouldn't want to sing live again? "Make Love Like A Man I think." "Nah I don't. I do not love it. I tolerate it, I tolerate it. I don't know it just, it just falls short. I think the irony that we tried to impress upon it didn't quite register. To me it's just a notch too stupid. Occasionally when you're in a great mood they all work. When you go on stage and everything's fired up they all work. But on the night's where you like, you're really kind of tired and truth be known you just wish you could skip past it to the next one. It's the only song that I ever really think bite that. But you've gotta have one I mean everybody's got one I'm sure. I mean Robert Plant refuses to do Stairway To Heaven and you know that's a much better song." "No, no it's not like it's awful. It's just you asked me which is my least favourite - it's not my least favourite song. There's other songs that we've recorded that I really don't like. But we don't do them live." "Single #2 from Adrenalize - 'Make Love Like A Man' is our tongue-in-cheek look at a significant facet of human existence, while the 2nd track 'Miss You in a Heartbeat' is a Phil Collen composition originally recorded by Paul Rodgers' group, The Law. 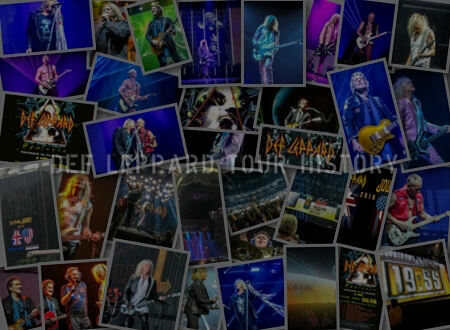 For 2 additional Def Leppard gems, check out the CD and 12" and have a really good time!." "Single #2 from Adrenalize - 'Make Love Like A Man' is our tongue-in-cheek look at a significant facet of human existence. Take Note! 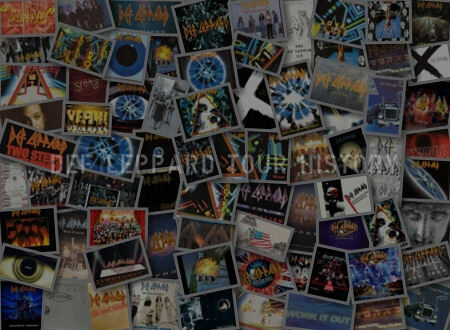 Meanwhile, we've got a couple more unreleased tracks for you. 'Miss You in a Heartbeat' is a Phil Collen song of somewhat recent vintage - first recorded by Paul Rodgers' group, The Law. 'Two Steps Behind' is an Elliott composition performed totally acoustically - bass, 2 guitars and voice. Our first recorded acoustic performance!" "And finally, a version of a song by a group Joe really wishes he could've been in - 'Action' by Sweet. For those too young to remember, go listen to Sweet's Greatest Hits - a revelation - and for those who remember the original, let me say that in our efforts to duplicate every part recorded by messrs, Connolly, Priest, Scott and Tucker, we discovered some very interesting bits...don't worry, guys, we won't let on."